On the occasion of three years from the formation of the Municipality of Petnjica, an interview that the editorial of the bulletin had with Mr.Samir Agović, Mayor of Municipality of Petnjica is published. Furthermore, the bulletin provides information and recommendations contained in the Report on the framework for inter-regional and transnational cooperation, which was in the focus of the 6th meeting of the Joint Consultative Committee Committee between the EU Committee Regions and Montenegro. Bulletin contains the most important information from the session of the Assembly and of the Executive Board of the Union of Municipalities, as well as many activities that the authorities and working bodies of the Union have taken in creating a sustainable system of spatial planning and construction, and complete the legislative framework essential for the functioning of the communal system, work of communal police, as well as communal and other local inspections. Also, bulletin announced the call for application within the Program of best practice in local government for this year, and presents the practices of the previous year received the status of the best. Bulletin publishes the most important activities of the Network of Municipal Project Managers that have been taken in the first half of this year, as well as the results that are the Union of Municipalities and municipalities achieved through many projects with international donors. Information is shown with a number of international conferences in which the Union of Municipalities had an active participation, as well as a host of other activities that were implemented in the previous period. 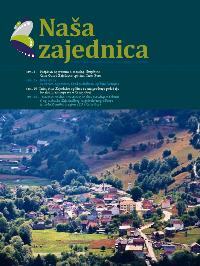 Continuing the practice of presenting the most important activities of the local governments, “Our Union” also in this issue contains a lot of information from local governments, which bulletin fully demonstrates its commitment to the most important events in the municipalities of Montenegro.